The Virgen de la Regla, also known as Our Lady of the Rule, or, the Birhen Sa Regla in the local parlance, is the miraculous patroness of the City of Lapu-Lapu. Previously named Opon as a town, Lapu-Lapu City is located in Mactan Island in the province of Cebu. The feast day of the Virgen de la Regla is celebrated every November 21. Yet, every November 20, a day before the fiesta proper, you can already observe a multitude of people coming to the island city. Why Do Many Devotees Visit the Virgen de la Regla? Most of the visitors came not only because of the sumptuous foods during the fiesta celebration but to fulfill their panaad (promises) to the Virgin. Many of these devotees attested that their wishes were granted through her intercession. So, during her feast day, people who received favors, or got healed from an ailment after praying to the Virgin, flock to Our Lady of the Rule National Shrine. I was born, grew up and still living with my own family here in Lapu-Lapu City. Even in my younger days I heard several stories from people that their family member got well after praying to the Virgin. Or, that personal problems were solved due to the virgin’s guidance. Also, several times in the past I had prayed to the Birhen sa Regla for help and counsel. And yes, the Virgin has been like a mother ever ready to help her children. Thank you Birhen sa Regla! Thus, it is no wonder that countless people came as far as Mindanao and from the other parts of the country to pay homage to the beloved Patroness of Opon. 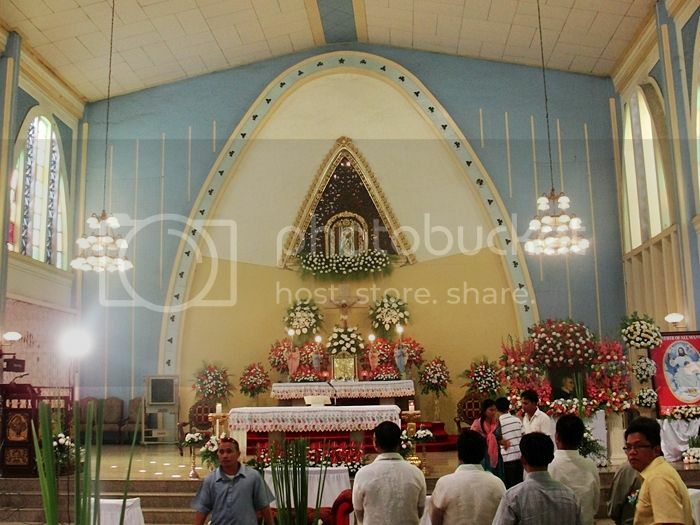 In fact, there are also devotees hailing from other countries who came to visit during her feast day. For those who cannot make it during the feast day, oftentimes they drop by the shrine during their homecoming visit in the Philippines. How the Virgen De La Regla Became the Patroness of Lapu-Lapu City? The devotion to the Virgen de la Regla started in 1735 when Father Francisco Avalle was installed as the first parish priest in Opon. He came from Andalucía Spain and brought a painting of the Virgin’s image with him. Using the painting, he initiated the devotion to Our Lady of the Rule to the locals. Since then, the Birhen sa Regla has become a part of the life of Oponganons. During the first Marian Congress of the Archdiocese of Cebu on November 27, 1954, the Birhen de la Regla was canonically crowned with a crown that was blessed by His Holiness Pope Pious XII in Rome. 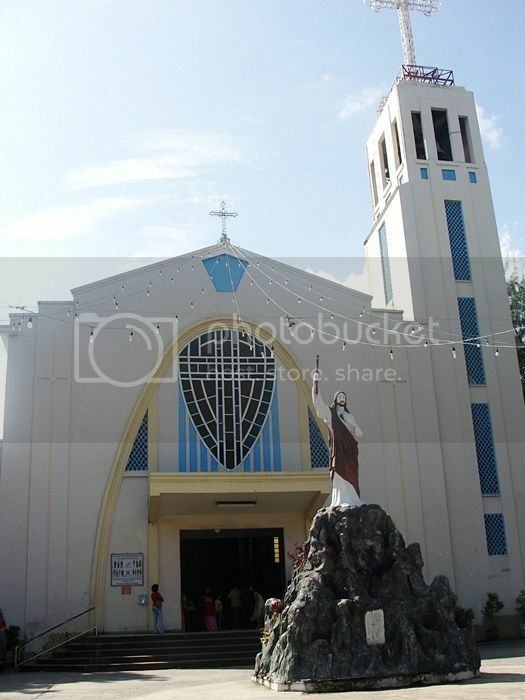 For that year, the Virgen de la Regla Parish was declared as the official Pilgrimage Place for the Archdiocese of Cebu. 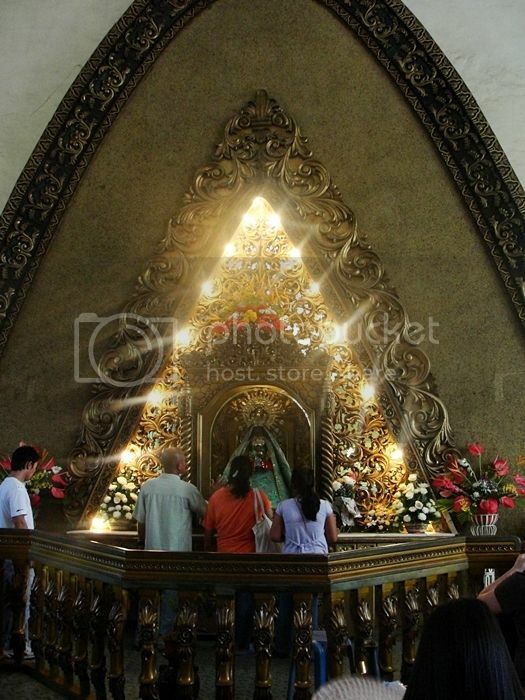 Due to the fervent devotion of both the locals and the visitors to Our Lady of the Rule, The Nuestra Senora Virgen de la Regla Parish was made into a National Shrine by His Eminence, Ricardo J. Cardinal Vidal, Archbishop of the Archdiocese of Cebu on May 24, 2007. Today, November 21, 2013, history again witness the countless people who come to offer flowers, candles, clothes and jewelries to the miraculous patroness of Lapu-Lapu City. People come to kiss or just to touch the Virgin. Others visit to say prayers and request for her intercession. It rained yesterday, and this afternoon while it was hot during mornings. Yet, neither rain nor hot weather keeps devotees from lining up in long queue for the chance to touch or get near to Our Lady of the Rule. After all, rains are like blessings coming from above. Both the devotion of the locals and the visitors are truly inspiring attestation of the love and winsome power of the Virgen de la Regla on the faithful- Oponganon or not who solicit her help. I believe miracles happen, but it depends on one’s belief and faith. Happy fiesta Our beloved Virgen de la Regla! Malipayong Piyesta Mahal nga Birhen sa Regla! Like quirksoflife in facebook !